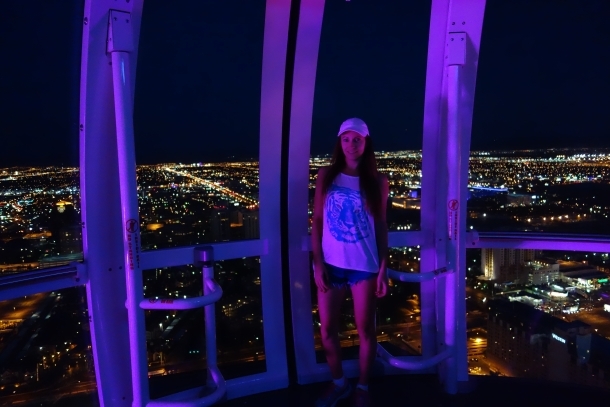 One of my favorite rides has always been the Ferris Wheel and the reason I think the Ferris Wheel is so great is because it gives you a bird’s eye view of the world around you. 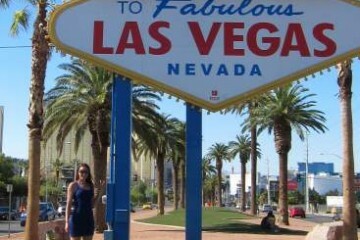 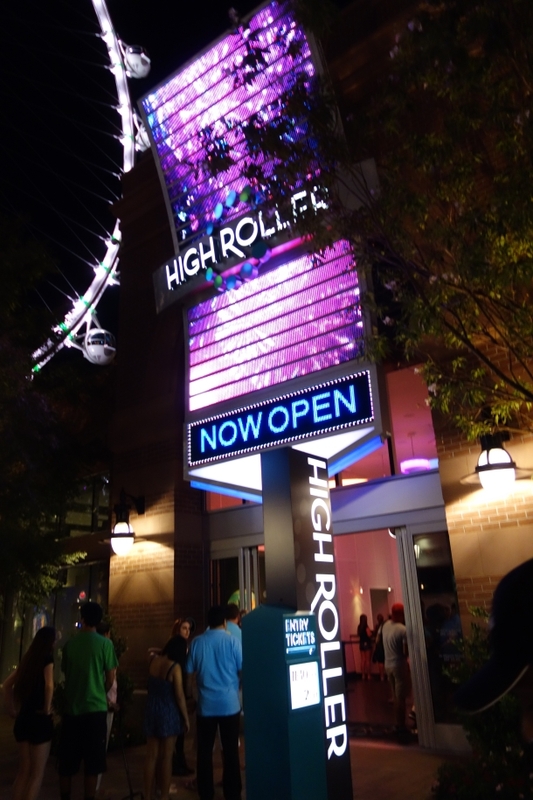 The High Roller is not only Las Vegas’ newest attraction, but is in my opinion one of the best attractions on the Strip. 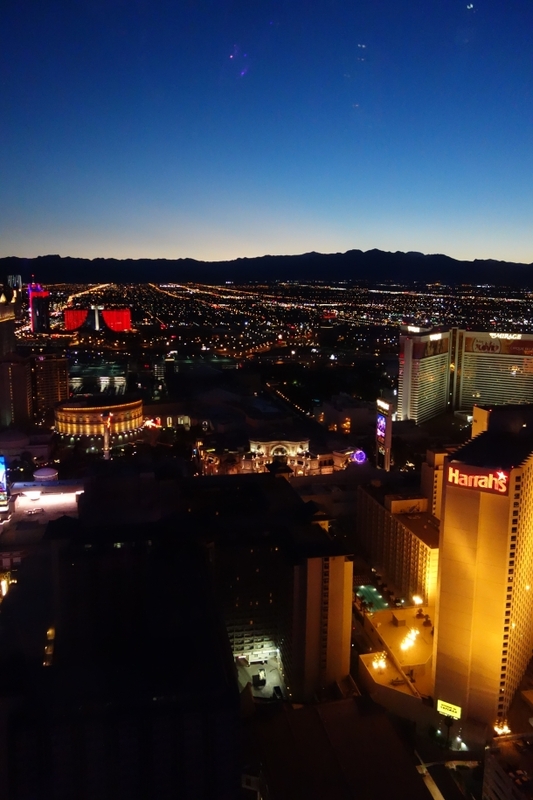 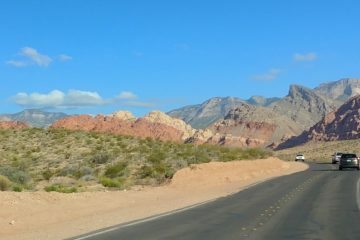 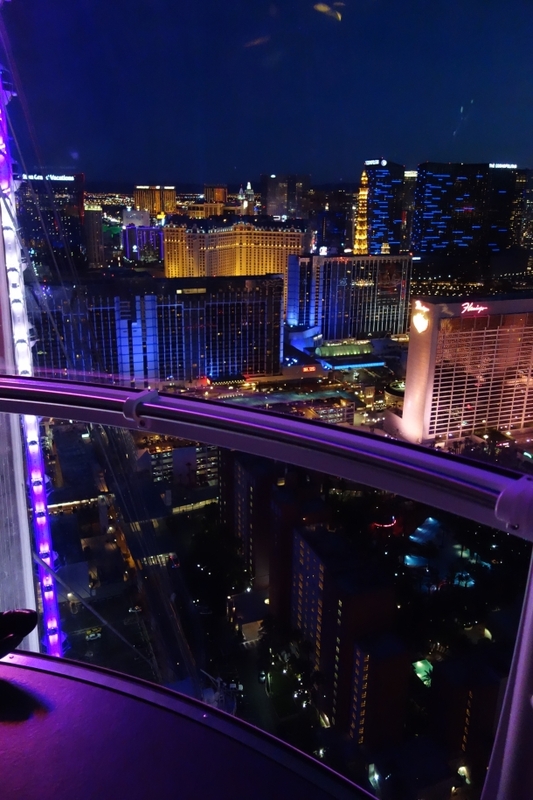 Whether you ride at night, or during the day, you will definitely get a unique view of Las Vegas that is pretty amazing. 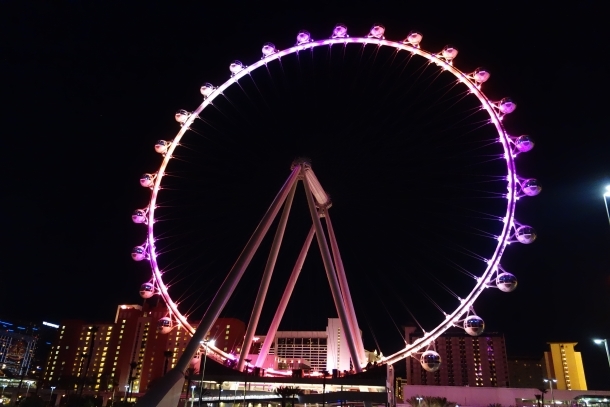 The High Roller is perfect for families, a romantic date, or even as a pre club experience. 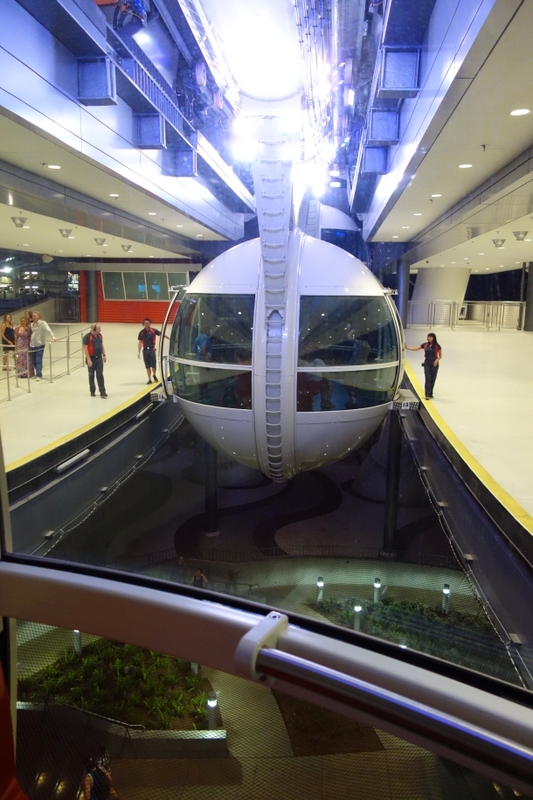 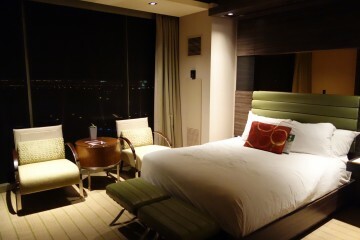 Each cabin can fit quite a few people, and can also be rented out for private events. 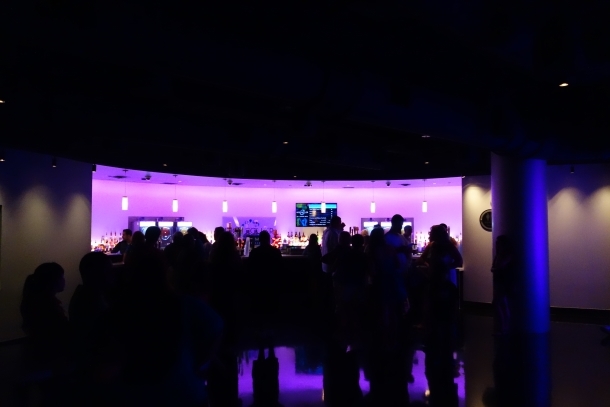 Should you choose to do so, you can also request a cabin that is equipped with a full bar and bar service, orderves and if you like, you can arrange for special requests; special decor for a party, etc. 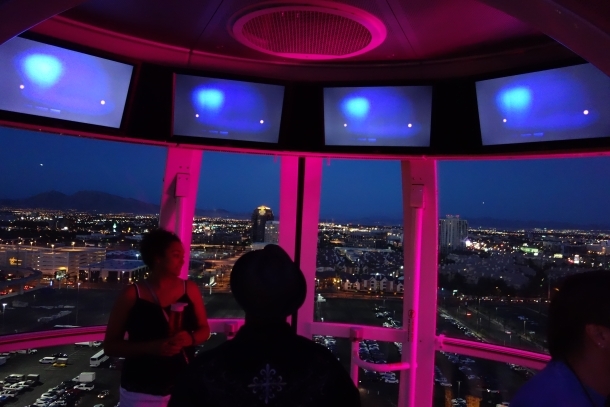 Even if you don’t get one of the bar pods, you can order drinks at the bar located at the base of the Ferris Wheel – you will not have any problems bringing your drink with you while you ride. 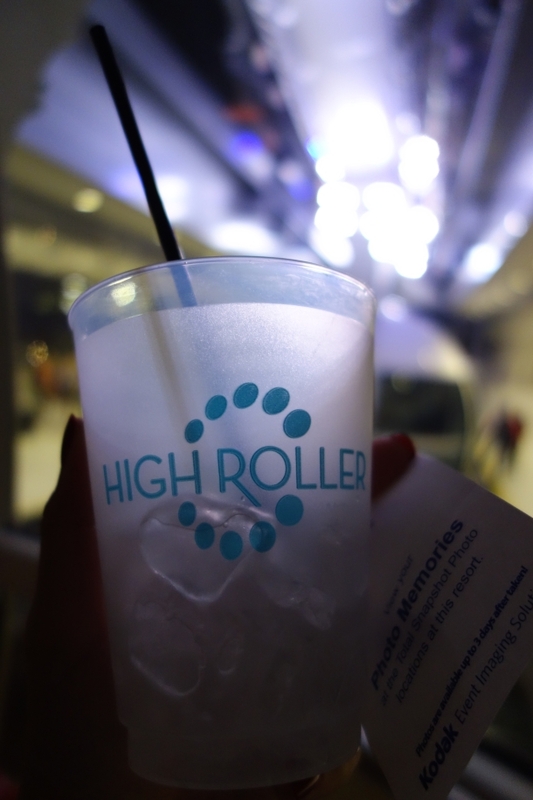 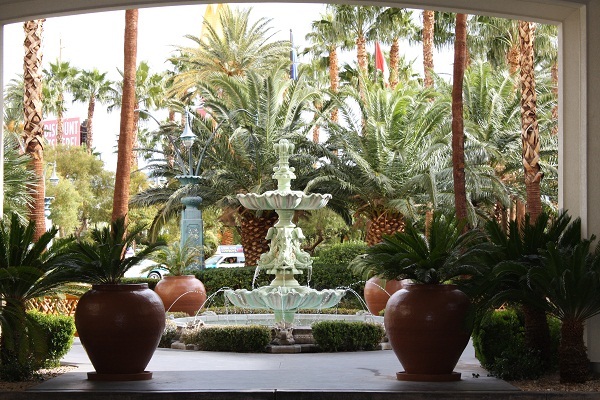 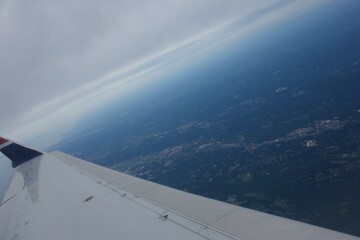 Below are photos from my High Roller experience. 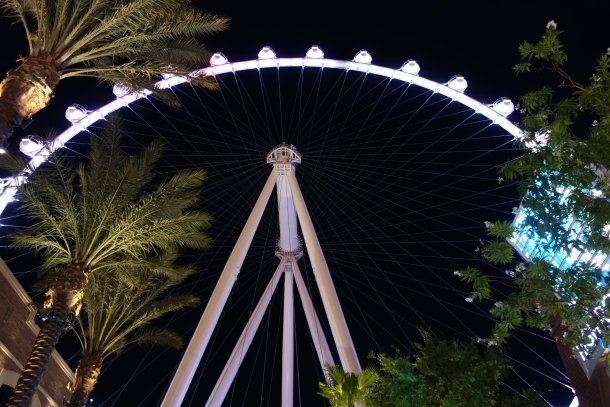 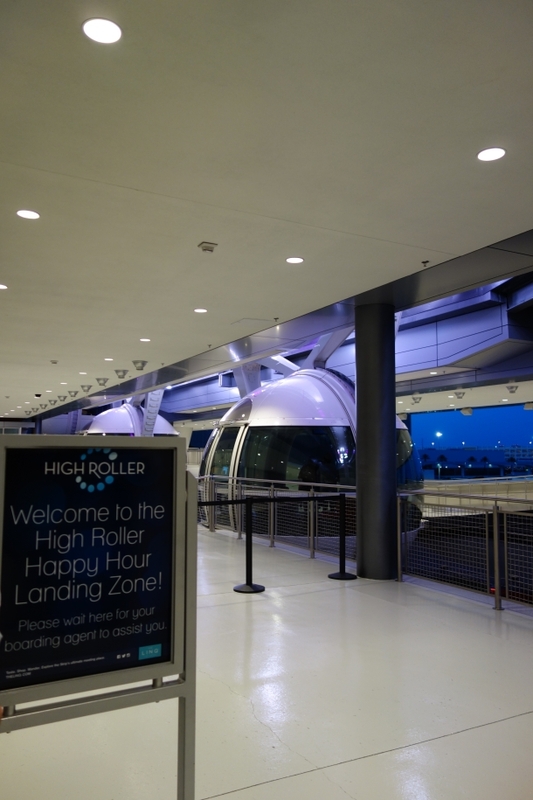 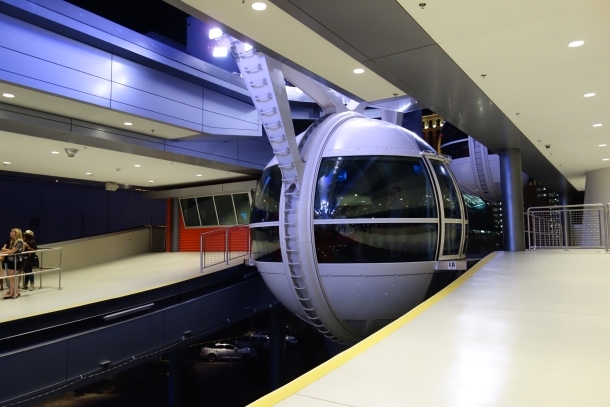 For more information, or to purchase tickets, visit the High Roller official website. 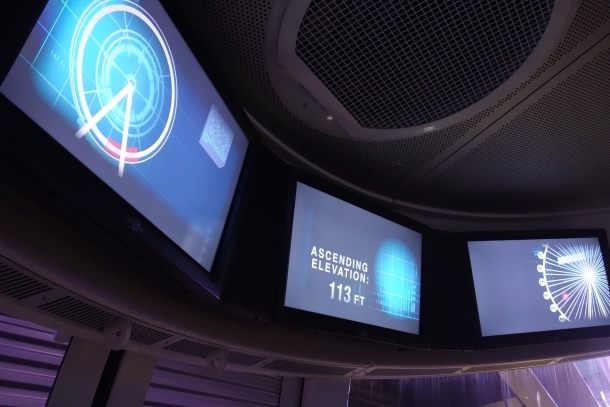 Each cabin has several television screens that provide information about the sights around you as you ride. 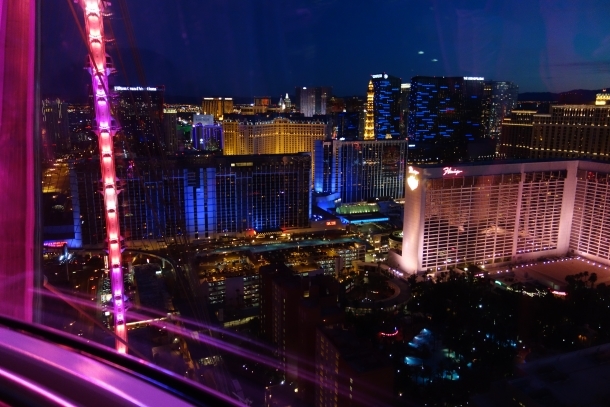 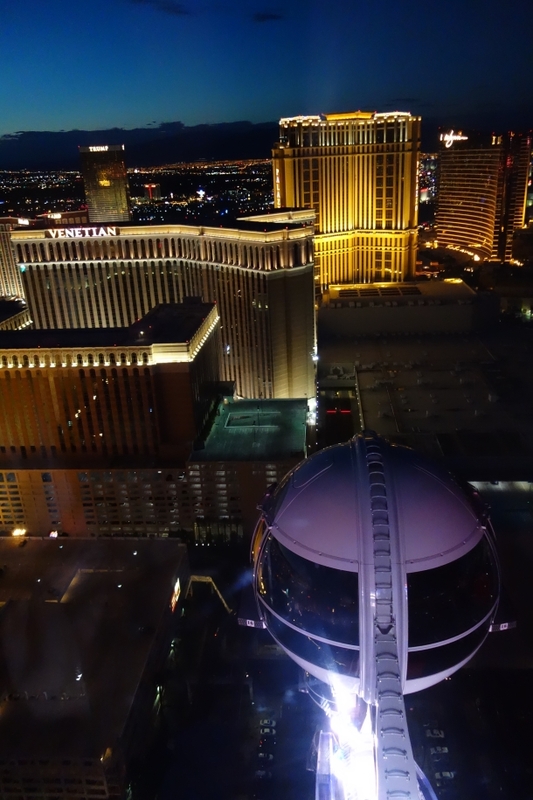 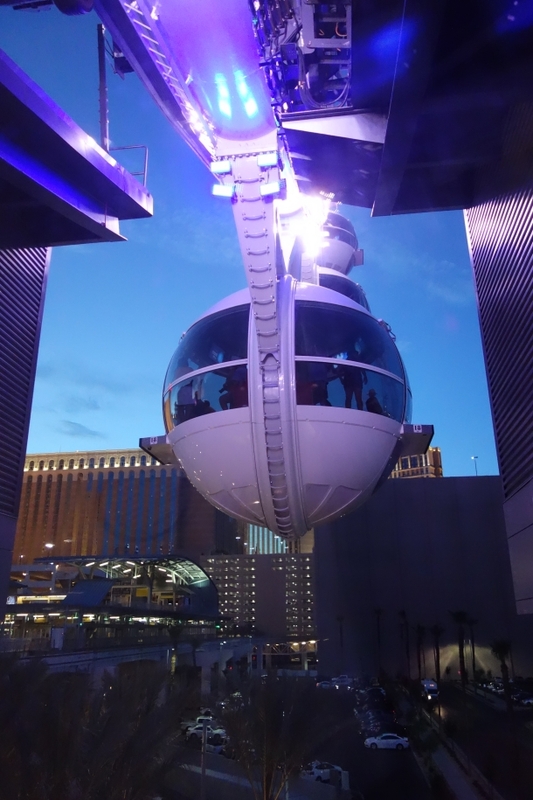 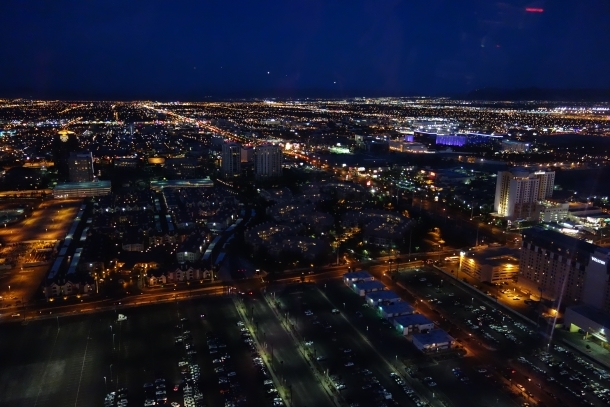 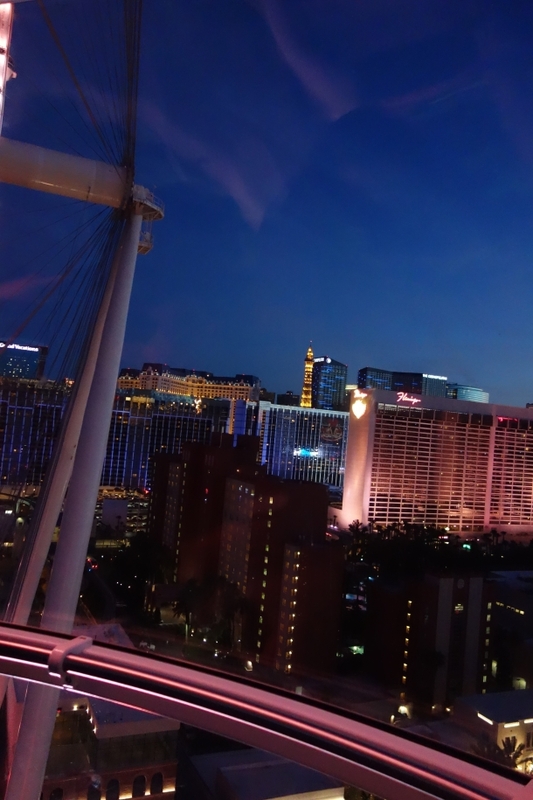 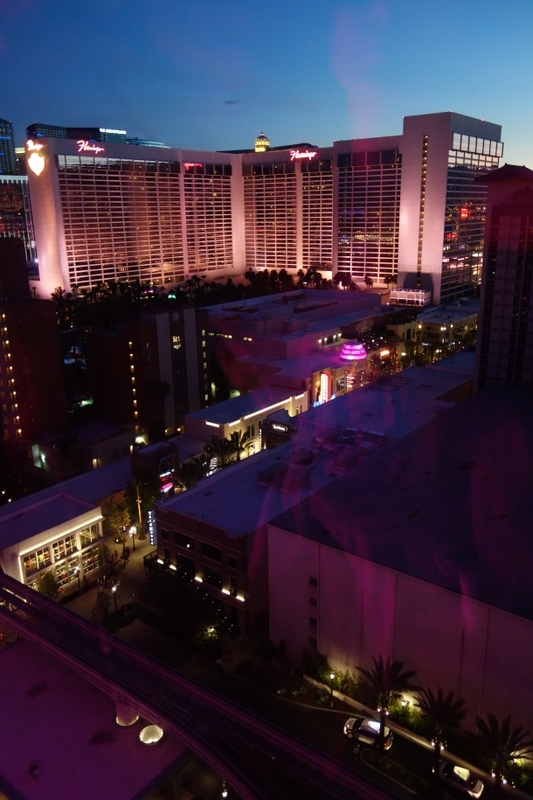 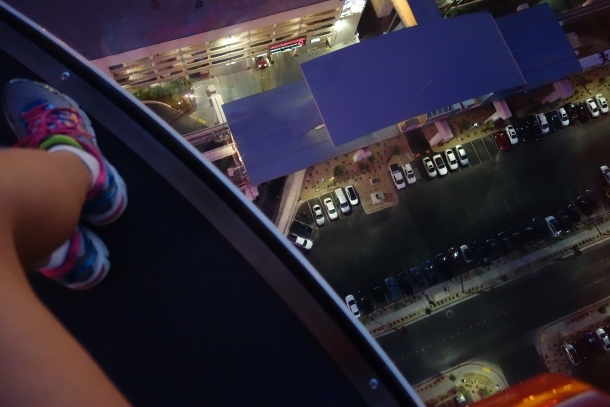 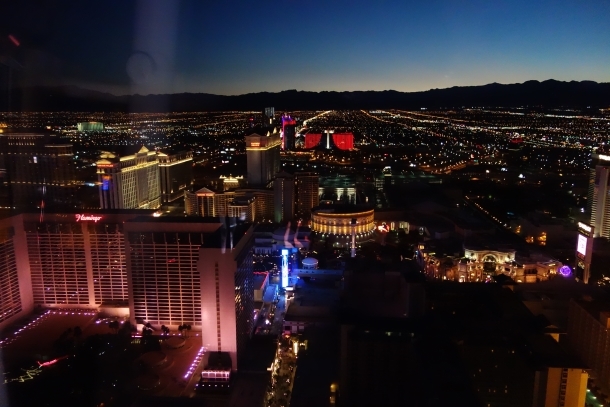 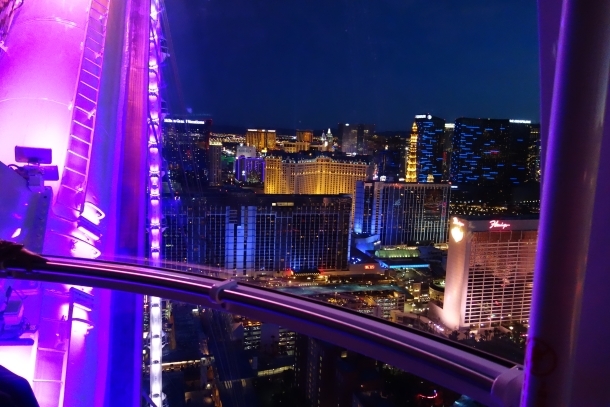 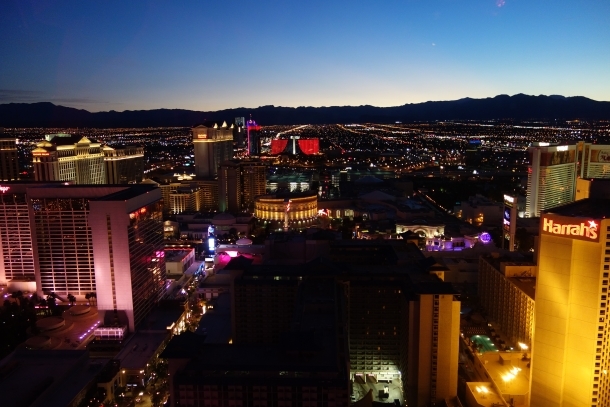 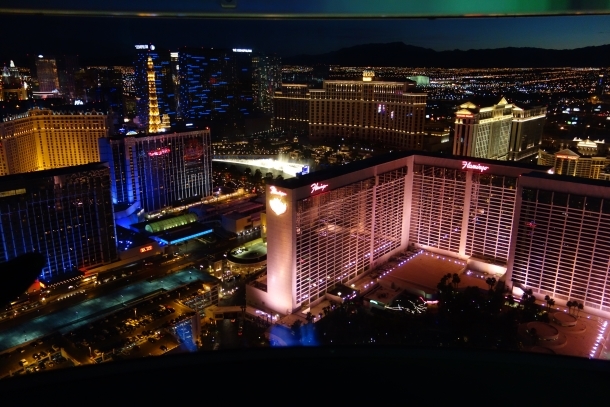 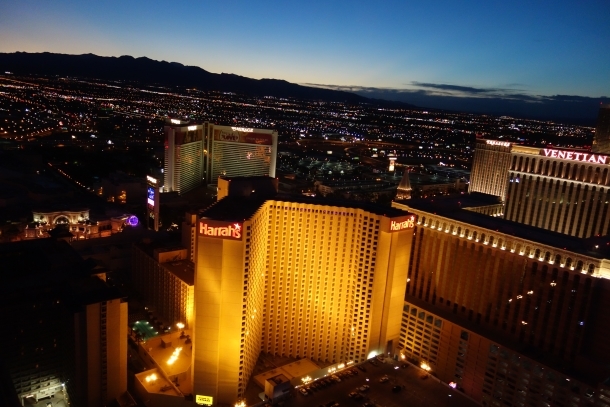 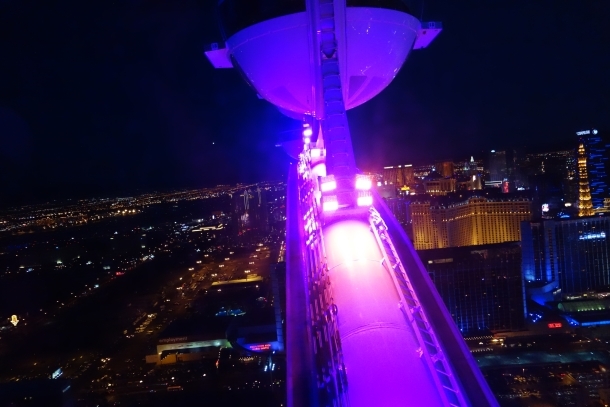 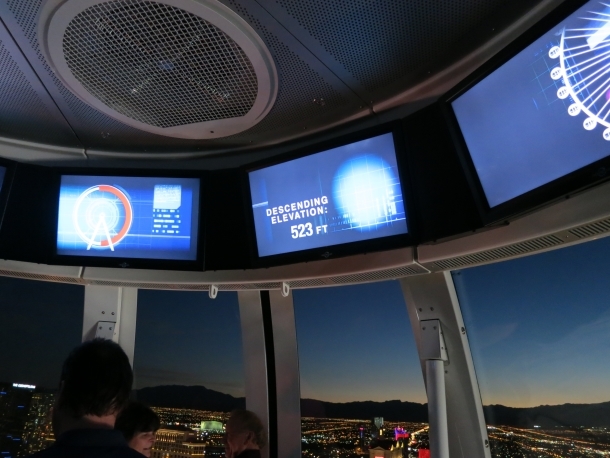 At 550 feet, the High Roller offers some of the best views of the Strip!